“Greetings From” Tour Makes Its Way to Ohio! How would you like to have your very own “Greetings From” mural painted on your favorite wall or building to promote your town? 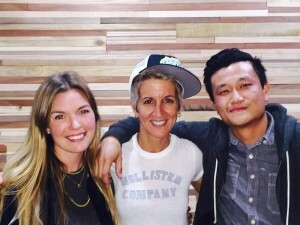 That’s exactly what friends of Graffiti HeArt, Victor Ving, former NYC graffiti artist and his girlfriend, Lisa Beggs, professional photographer and Ohio native, are planning across the U.S.A. this year starting this Spring. 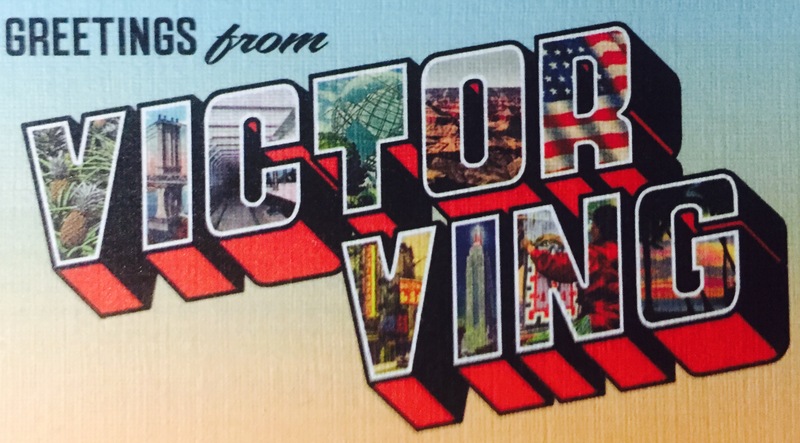 Starting in late April, Victor and Lisa will be packing their lives in a RV and traveling the country painting vintage postcard inspired murals. As a graffiti writer for 15 years, Victor got tired of the ego of writing his name over and over and wanted to do something positive for communities with his talent instead. 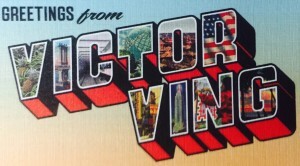 He and Lisa began collecting the large letter vintage postcards and they use them as reference for many of the murals. “It’s a great way to introduce graffiti/street art into communities”, Victor shared. “We try to work with local artists in every city and give them a letter to do what they do best. I always feel that when dong public art, it’s important to connect with the community and not just paint your art without any significance to where it will be. Once you leave, the locals will have to deal with looking at it so you should be working WITH locals to create something that belongs to them. I feel that this is a very important aspect of public art”. 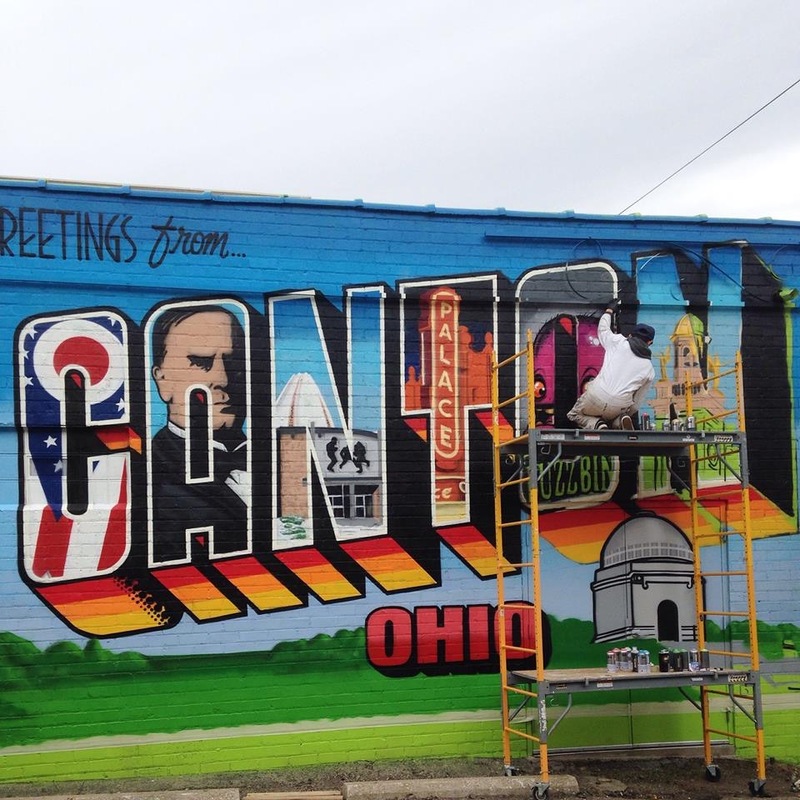 Victor and Lisa made their way to Canton, Ohio this month and painted a vintage “Greetings From Canton” mural with local artist, Steve Ehret see more here. 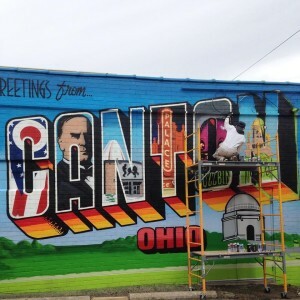 Each letter encapsulates a different landmark or symbol of the Canton community, including the Ohio state flag, President McKinley, NFL football Hall of Fame, amongst others including Steve Ehret’s creature in the letter “O”.